Honestly, this is my first time ever to watch horror movie in cinemas! I never dare to watch it because I scare! 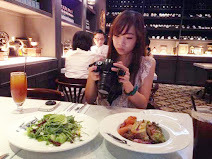 And this time I challenge myself, however, I still watch with one eyes some part of the movie instead pair eye, hahahaha! Thank you Seeties community for the free movie tickets and also the sponsoring to us have a premiere screening before the date released. 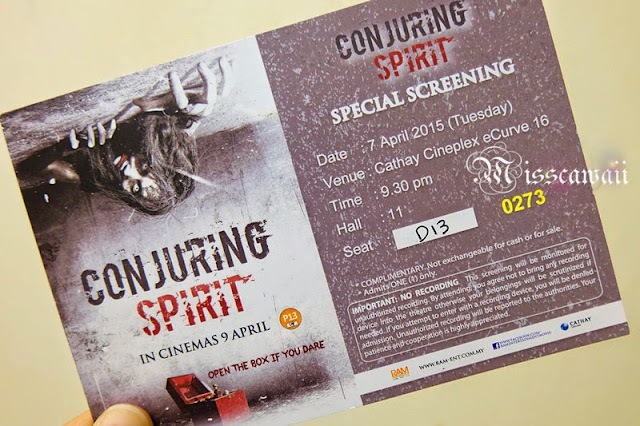 The Conjuring Spirit is now released, you can have your ticket to watch it at the cinema. If you are watched The Conjuring and Annabelle, surely some of you start to imagine how horror of this movie. However, this movie is totally different with The Conjuring. Have to emphasize that, the movie is in Vietnamese language and the director is Van M. Pham. The director was create a new way of telling the story and examine the connection between grief and manifestations of evil in this movie. The story is began with Lan, decided to leave her betrayal husband and bring her son, Bi, move into a new house in an old building which has long been unoccupied due to strange incidents. Lan haunted by the pain of betrayal and begins taking medication to improve her mental state. Here, she start to experience real nightmares more frequently after she taken a mysterious music box from Mrs. Chu, the building supervisor. She believe that music box is bring something evil. Lan decided to investigate the mysteries happening in the house with her neighbors, Vu, an amateur musician who live in the building too. Finally, they realized something abnormal is related to the music box. Who is the true owner of the music box?? Is it a ghost dwelling inside? or it was try to get revenge? Go on the cinema and find the answer! 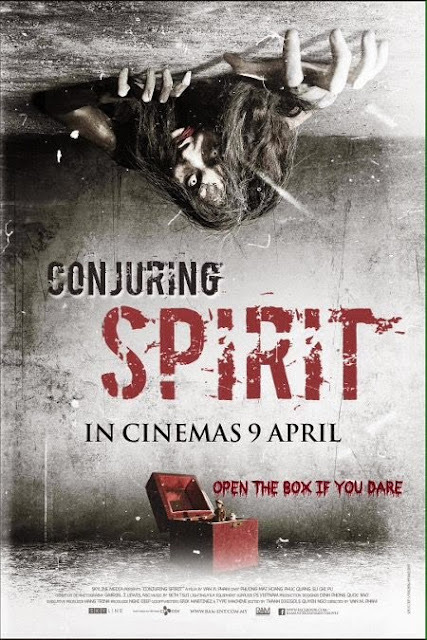 After watching the movie, you will realize that Conjuring Spirit has not only frightening scened but also some amusing and touching moments where the audience can see and feel how was young's life in the dark corners and also the maternal love in the context of modern family. Grief, is the reason for malevolent spirit that would cause a havoc on other living beings. You may doubt this movie is not good as other horror movie, but it is worth to pay. Get your ticket now at the ciname available now!